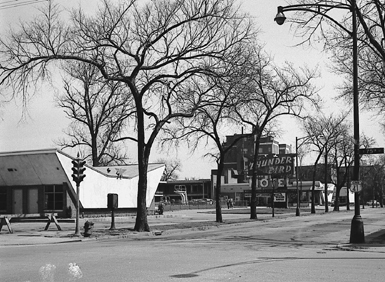 Another architectural icon along South Shore Drive in the 50s and 60s was the Thunderbird Motel. The motel, along with its pool, is long gone. A parking lot now sits on the site.